A varied, challenging platformer that's adept at forcing improvisation and punishing mistakes. Caveblazers is superb and I'm looking forward to discovering all of its secrets, and to the local multiplayer add-on that's apparently coming soon. I can see myself playing for years to come. Caveblazers is a sharply put together game. If I had received it as a birthday present for my Gameboy in the late 90s, I would have played it on every long car ride. 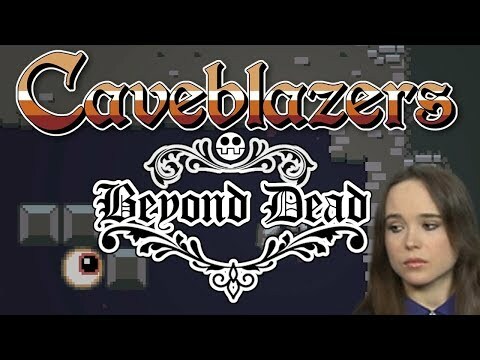 Caveblazers doesn't do enough wrong to be disappointing, but it doesn't do enough right to be exceptional, meaning that it occupies that awkward space in the middle. The utterly unremarkable visual style and simplistic combat is offset by a surprisingly deep well of unlockables and well-paced progression systems; this is a roguelike that checks all the right boxes, but never becomes more than the sum of its parts. If you enjoyed Risk of Rain or Dead Cells, Caveblazers is a decent recommendation, but also understand that there are far more memorable titles to be found on the eShop. A competent if uninspiring roguelite platformer that provides a fun, challenging time with lots of things to unlock. Satisfying combat and challenging enemy AI makes the moment to moment gameplay worth a look. Caveblazers is a solid roguelike that always feels fair and gives players a real challenge to complete. The combat is fast-paced and exciting, and the controls are as tight as you could hope for. With a lot replayability, Caveblazers asks the players to rely more on their abilities than random luck or progression systems. Items add depth without bringing frustration, a well-rounded and polished roguelite.